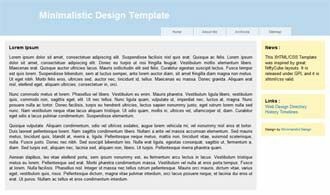 This one is very minimal, fast and image free xhtml/css strict website template. It was inspired by great NiftyCube but it is not with rounded corners. Maybe some other time I will make template with rounded corners but for now I stick with old school. Anyway I hope you like this simple template and comments are welcomed as always!